Directed by Justin Kurzel. Produced by Jean-Julien Baronnet, Gerard Guillemot, Frank Marshall, Patrick Crowley, Michael Fassbender, Conor McCaughan, and Arnon Milchan. Written by Michael Lesslie, Adam Cooper, and Bill Collage. Release date: December 21, 2016. The experience of watching Assassin's Creed is akin to watching someone play the video game - but only during the cutscenes, and most of those cutscenes are of the "present day" variety. Those of you who have played the game know that the scenes in the present day are the least enjoyable, which makes the filmmaking decision to set the majority of the movie there an odd one, to say the least. Maybe they realized the central gimmick of the game doesn't translate to film. For the uninitiated, the Assassin's Creed games are technically set in the present day, but the majority of the gameplay takes place during various historical time periods. Someone gets attached to a device called the "Animus" and gets to relive memories from an ancestor of the past - and that ancestor is always an "Assassin," a creed that's been fighting against the evil "Templars" since as long as anyone can remember. The majority of the game takes place reliving these memories, but you are controlling the ancestor - if you fail, the Animus desynchronizes and you have to start over. The movie, meanwhile, takes this basic idea, but because it's a film has to remove the gameplay aspect. As a result, there's no possibility of failure, and those desynchronizations just happen kind of randomly. That kills the stakes of any scene set in the past. I'm guessing the filmmakers realized this, and that's why the majority of the movie is set in the present. At least the present can still be altered, right? Sure, but the problem is that nobody involved in the production of the movie seemed to care. 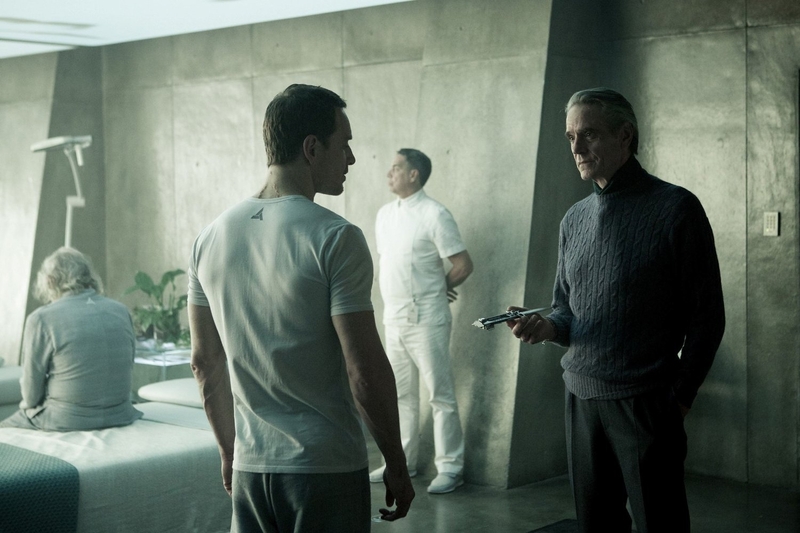 Our lead is Callum (Michael Fassbender), who gets brought to the headquarters of Abstergo Industries after being "killed" on death row. He's told that if he helps them, he'll get to begin a new life. 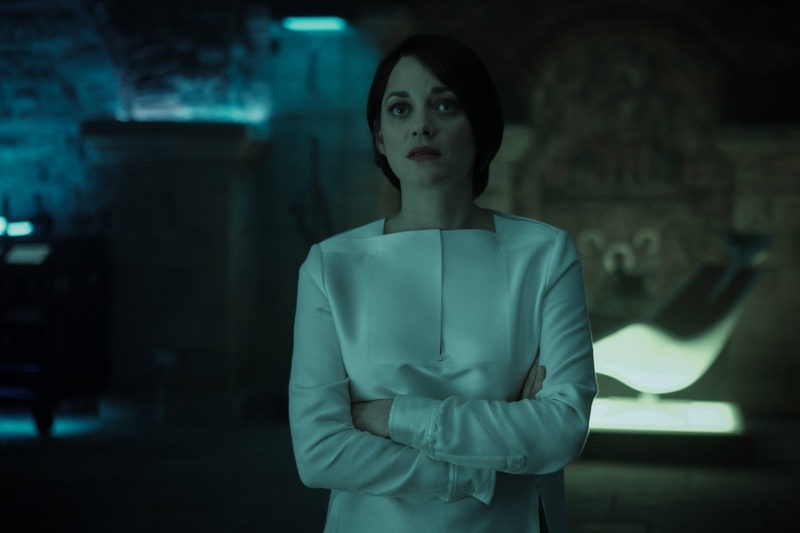 Abstergo is run by Alan Rikkin (Jeremy Irons), while the Animus program is run by his daughter, Sophia (Marion Cotillard). They want to use the Animus to locate the Apple of Eden, believing that Callum's ancestor is the last one to know where it was. They want it - I kid you not - because they believe it holds the key to ridding the world of violence. Abstergo, of course, is a Templar-run organization, so they're bad and want to rid the world of violence by eliminating free will. 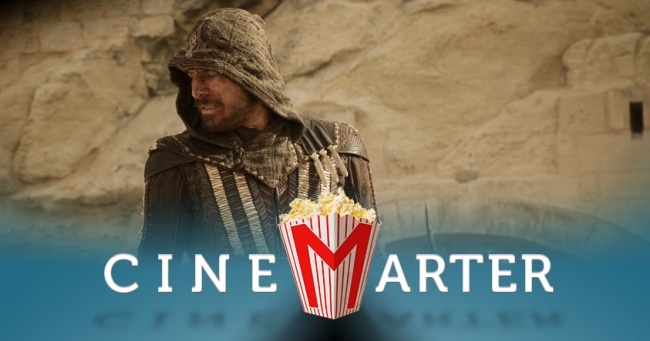 Assassin's Creed is an apathetic movie. It doesn't seem to care about much that's going on, and it doesn't seem to care if we do, either. Still with me? The movie feels like it's 70% exposition, yet also manages to be confusing. This is largely due to characters being somewhat random and muddled, or in some cases almost completely undefined. Callum's ancestor gets a female sidekick (Ariane Labed) for a good chunk of the time, but I don't think we learn her name or why she's there - even though there appears to be a good deal of back story between her and Callum's ancestor. I played the first few games and knew how it all worked and still came away a little confused. If you're here for the action, you'll be disappointed. It's a choppily edited film, with some of the fun sword fights or parkour scenes effectively ruined by far too many cuts. And it's not just the cuts within the fights themselves - we also frequently cut back to Callum in the Animus, which has been reimagined to a large-scale VR unit that has him perform each action his ancestor did. It's too much and may have been the wrong project for director Justin Kurzel, whose strengths lie elsewhere. 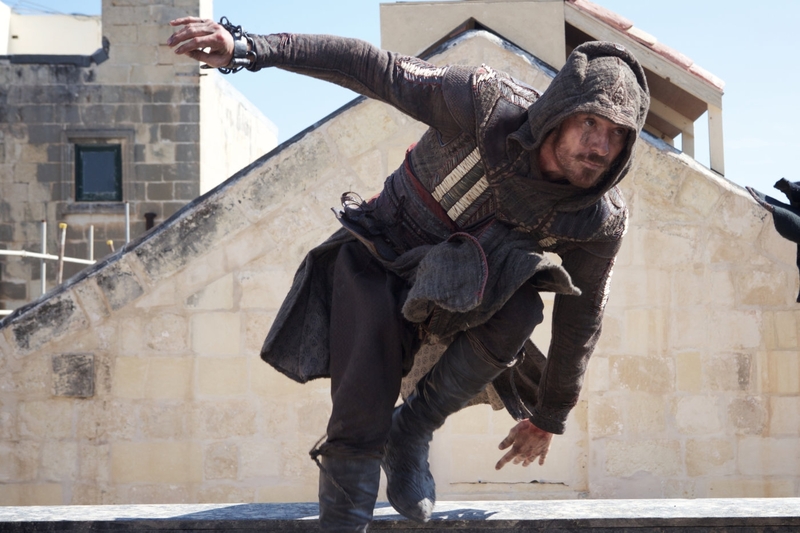 Michael Fassbender is the only actor who seemed to care about Assassin's Creed. He's generally pretty fun here, which plays in stark contrast to everyone else. Marion Cotillard is here primarily for exposition, but also sometimes feels like an unenthusiastic fan when she randomly shouts "synchronization!" or "leap of faith!" as if calling these elements out will appeal to fans of the games. Jeremy Irons couldn't look more bored if he tried. Small roles go to Charlotte Rampling, Michael K. Williams, and Brendan Gleeson - all of whom are wasted. 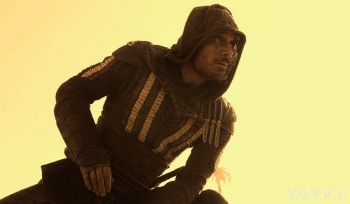 About the only positives that one can glean from Assassin's Creed come from the cinematography. There are some pretty shots in the movie - although I think they did the "follow the eagle around" moment about 17 times too many. There would be many more beautiful shots, though, if the entire film wasn't washed over in a brown-grey palette that is, quite frankly, often ugly to look at. That fits its self-serious tone, if nothing else, I guess. Even the first game had a bit more color - and that's saying something. 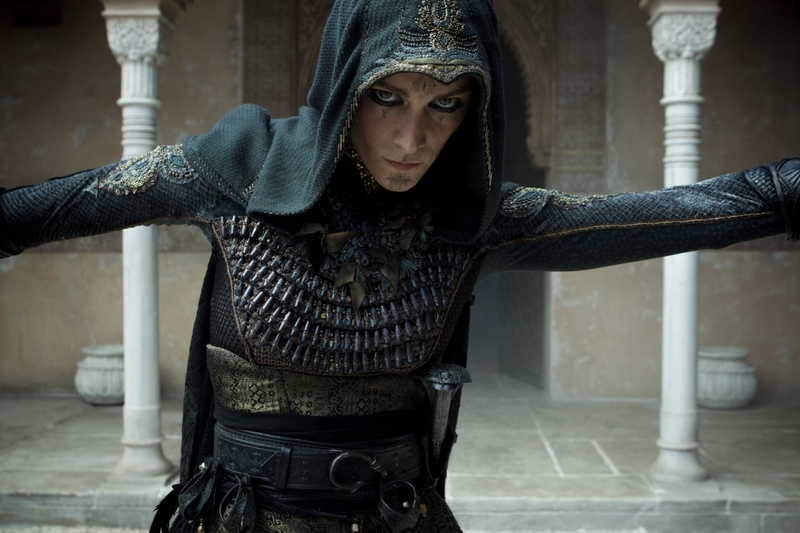 Assassin's Creed is an apathetic movie. It doesn't seem to care about much that's going on, and it doesn't seem to care if we do, either. It's got a confusing plot, muddled or non-existent characters, choppy action, and one of the worst looks to a movie in a while. Actors look bored and are wasting their time. It looks like we're going to waiting a little while longer for that great video game adaptation. Bottom Line: Another terrible video game adaptation, Assassin's Creed is bland, confusing, and doesn't even have good action. Recommendation: Skip it. Play the games. Well, a couple of the games. Like, maybe the second one and, I dunno, the one with the pirate ships, probably.